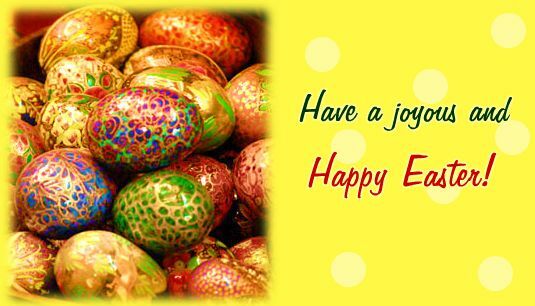 Have an extraordinarily joyful Easter! Let God keeps you away from evil tongues, sudden misfortune, clever enemies and small-minded friends! Happy Easter! Easter is a celebration of humanity, a day full of strong emotions and holy love. May God give you all the best of the best, all the joyful and cozy! For the amazing Easter we wish you to be always healthy, happy and loved. If all our deeds would be pleasing to God, with each passing day we’ll become stronger and stronger. Happy Easter! Easter Blessings. May His peace fill your heart, His love fill your life. Happy Easter. Happy Easter. May your heart be filled with hope in this season of miracles. Renews to us in each spring. Fill your heart with peace and joy!